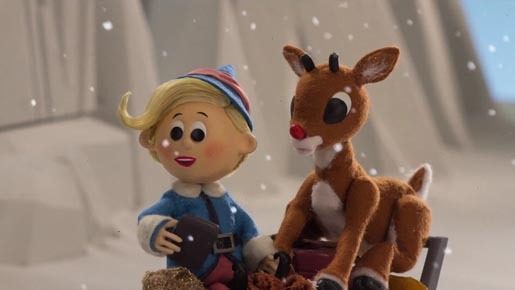 Bing is preparing for the holidays with a new twist on characters from the Rankin-Bass 1964 stop motion animated classic Rudolph the Red-Nosed Reindeer. A series of short clips is appearing online and in select holiday TV programs such as Santa Claus is Coming to Town, Frosty the Snowman, and South Park Christmas, and in movie trailers for winter movies, Arthur Christmas, The Muppets, and Happy Feet Two. The Bing Originals Holidays series was produced by Bent Image Lab, Portland.